A call from a service provider to the Justice Center's Vulnerable Persons Central Register Hotline (VPCR) has lead to the arrest of a counselor at a Westchester County mental health treatment facility on charges that he raped and sexually abused a woman with special needs who was in his care. The arrest of Nelson Acevedo, 42, an employee of The Guidance Center of Westchester, followed an investigation by the New Rochelle Police Department and the Westchester County District Attorney's office, with support from Justice Center investigators and its Special Prosecutor. The facility where Acevedo worked is certified by the state Office of Mental Health and is one of six state agencies under the juristiction of the Justice Center. 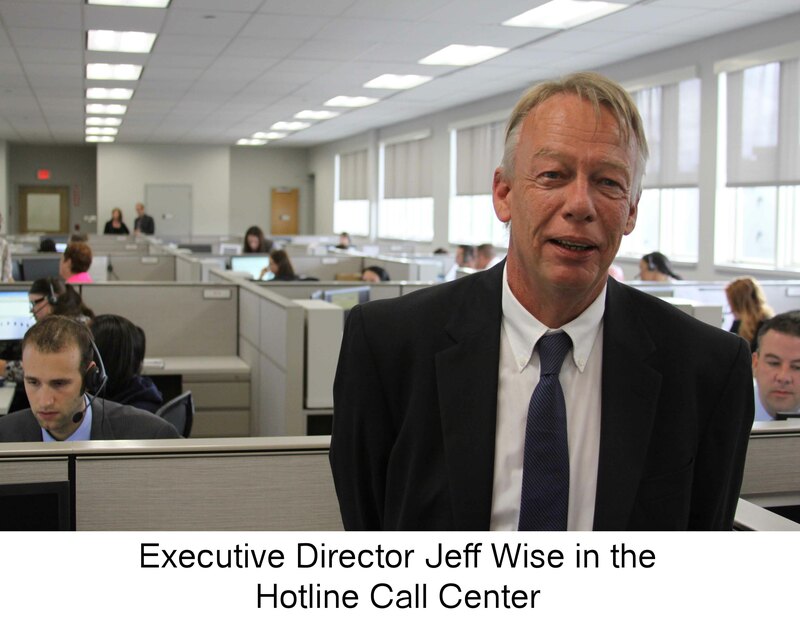 The Justice Center has released a report summarizing its first month of operation, showing that its Vulnerable Persons Central Register Hotline (VPCR) responded to over 7,200 calls and 1,300 cases of alleged abuse and neglect that have required investigation. All reported incidents are assessed, classified and logged into a computerized case management system. The most serious cases are generally assigned to Justice Center investigators, while allegations of lesser offenses are routed to the appropriate state agency or law enforcement for investigation or review. Each case is tracked until resolution, with state agencies required to report back their findings on referred cases so they can be reviewed by the Justice Center. As a result of these calls, the Justice Center's Special Prosecutor/Inspector General, Patricia Gunning, is currently overseeing the investigation of approximately 30 cases that may involve criminal activity that could result in the arrest and prosecution of custodians alleged to have abused people with special needs who are in their care. A non-reportable incident that falls outside the jurisdiction of the Justice Center or does not rise to the level of the other classifications. Reports to the VPCR Hotline come from many sources, including individuals with special needs who are receiving services, “mandated reporters” who comprise custodians, other health care professionals and law enforcement, as well as families and the general public. 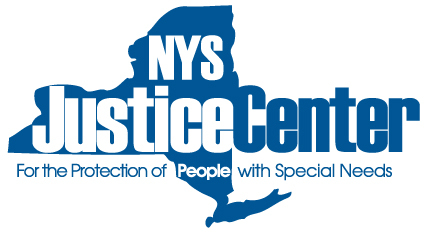 Anyone who witnesses or suspects the abuse or neglect of a person with special needs should make a report to the Justice Center VPCR Hotline by calling 1-855-373-2122. It is staffed 24 hours a day, seven days a week by 70 highly-trained call center representatives. The Justice Center currently employs over 70 specially trained investigators, who also provide on-site coverage on a 24/7 basis. Abuse and neglect cases sent to them are reviewed and triaged within a matter of hours from the time they are received. To read the Justice Center's entire report, click here. Governor Cuomo has named 30 individuals with extensive disability advocacy experience to the Justice Center's Advisory Council. The Council provides guidance to the Justice Center in the development of policies, programs and regulations. Member are appointed by the Governor, with the advice and consent of the Senate. William Gettman will serve as the Council's Chair. He is Executive Director of St. Catherine’s Center in Albany, and offers more than 25 years of experience working in the child welfare field in both the public and private sectors. Previously, Mr. Gettman was Executive Deputy Commissioner at OCFS, responsible for all child welfare programs throughout the State. Other members include service providers, people who have or are currently receiving services, their family members and other advocates. The legislation creating the Justice Center requires that at least one-half of the members of its Advisory Council be individuals or parents or relatives of individuals who are or have received services from programs within the Justice Center’s jurisdiction. The Council meets at least 4 times a year and its members have already completed their orientation training. Click here for more information about the Advisory Council and its members. Visit the Justice Center's website for updates, information and other resources. 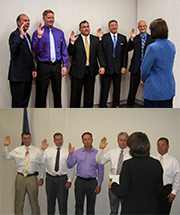 The Office of Investigations at the Justice Center recently added ten new criminal investigators to its ranks. These experienced and highly-trained investigators have full policing powers to thoroughly investigate allegations of abuse, neglect and misconduct involving individuals with special needs served by programs operated, licensed or certified by the state. Their responsibilities include collecting and preserving all relevant documents and physical evidence that support such allegations. This evidence is then used to pursue administrative sanctions and the criminal prosecution of employees who abuse people with special needs or violate the laws and policies of the agencies where they work. Their oaths were administered by Patricia Gunning, who serves as the Justice Center's Special Prosecutor and Inspector General.